Bollywood dance is the dance-form used in the Indian films. It is a mixture of numerous Indian folk & classical dance as well as popular world dance elements! The term ‘Bollywood’ comes from the combination of the names of Bombay (city now known as Mumbai) and Hollywood. The Bollywood film industry, based in Mumbai, is the largest film industry in the world in terms of ticket sales and the amount of films made per year. Bollywood films are mostly musicals with very few movies made without at least one song and dance sequence. The films feature love interests, comedy and action thrills. The plots are often melodramatic and often feature star-crossed lovers, corrupt politicians, twins separated at birth, conniving villains, angry parents, courtesans with hearts of gold, dramatic reversals of fortune, and convenient coincidences. While the acting and soundtracks that accompany these movies are fantastic in themselves, Bollywood is often known in the western culture for its awe-inspiring dance sequences, often featuring large numbers of dancers in perfect co-ordination and ornate costumes. The term ‘Bollywood’ in dance covers almost any style of dance featured in these extravagant musical movies. Some of the numerous styles of dance featured in films, either infusion form or in pure forms, include Kathak, Bharatnatyam, Garba, Bhangra, Lavni as well as Belly-dance, Latin, Hip-hop, Contemporary and Jazz just to name a few! Bollywood dance itself is a style which encompasses all of these styles and more, as well as having its own unique flavour and merit. Bollywood dance is now so popular in a western culture that Bollywood dance classes are offered in most major cities around the globe. Superstars such as Shakira, Madonna and Britney Spears have been so inspired that they have added Bollywood costumes and moves to their stage shows and video clips. Bollywood dance has also gained recognition in the world of western dance and is now featured on shows such as ‘America’s Got Talent’, ‘So you think you can Dance’ and ‘Dancing with the Stars. It is not unusual to see Western pop and pure classical dance numbers side by side in a Bollywood film. The international appeal of Bollywood dancing is something that has been in the making for many decades. Originally it was found only in places that had a significant consumption of Indian films. But today it is rising in popularity in the US, Canada and Europe. With the success of films such as the Oscar-winning movie “Slumdog Millionaire”, Bollywood films and dance have come into the global spotlight. Much of this is due to the ever-expanding Indian diaspora, but a significant proportion also comes from non-Indians who are fascinated by its exotic, larger than life qualities. Be it their lavish sets, production value, or extravagant costumes, stars like Madonna, Shakira, Britney Spears have incorporated the Bollywood style of dance or music into their songs, videos and stage shows. Confidence on the dance floor- execute signature Bollywood moves with flair! Enjoy learning to dance with uptempo, lively music. Learn how to execute with energy. Understand lyrical context and “tell a story” – with eloquent expression! 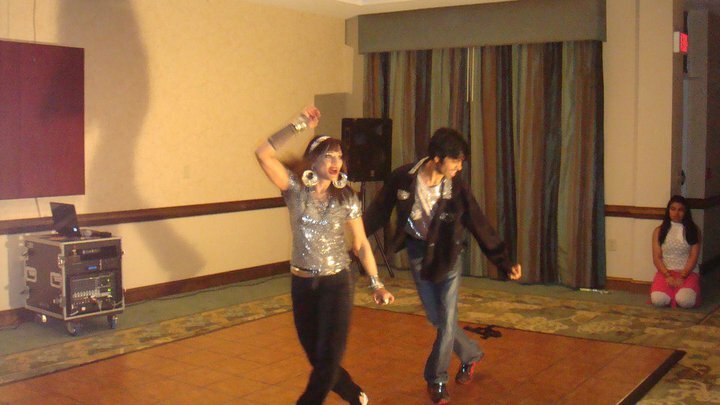 Attune to foreign musicality, Incorporate an international dance style into your repertoire. Develop better coordination using all your faculties, upper & lower body, face, eyes and hands! Develop rhythm & musical timing. Unlock the technicality of many dance steps- familiar or new. 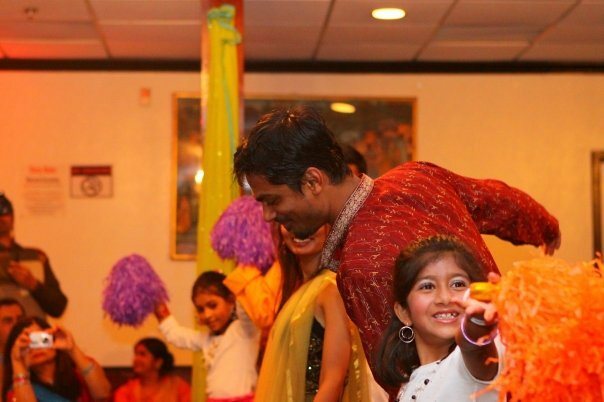 Show off your skills at the next Indian do! Surprise friends & family. Most of all: Feel happy with the joyful peppy nature of the upbeat songs, get exercise and relieve stress! Bollywood dancing is today synonymous with fusion and countless individual interpretations. When learnt and executed properly, students can retain the integrity of distinctive hallmarks of the style, which are: expressing the lyrical context of the song and effectively conveying its original flavour through movement & mime. Bollywood Dance has become an almost ubiquitous, fun free-spirited, social dance found at many a cultural, social & festive gathering today. Bollywood Dance for young kids at Morrisville. We salute you as we should! To the cinema, we love the most! 100 years of Bollywood, let’s together host, cos “the Movie ain’t over yet, friends!